Remember we talked about Foodspotting? The app that lets users discover food, recommend places to eat and review the best offerings by restaurants around town. The app has been around for iOS and Android for a while and it’s finally out for Windows Phone 7! It’s a visual guide to good food and where to find it. 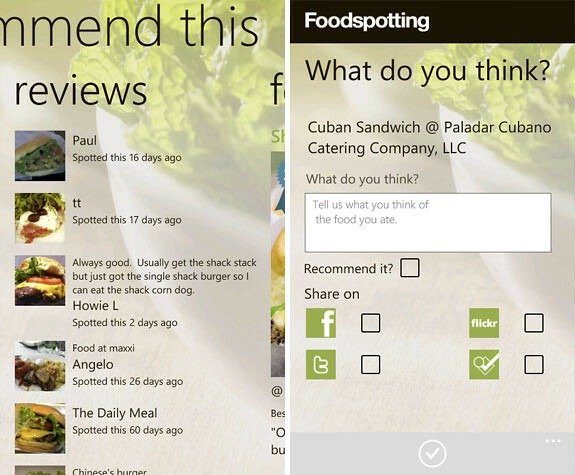 Foodspotting is the easiest way to find and share the foods you love: Instead of reviewing restaurants, you can recommend your favorite dishes and see what others have recommended wherever you go. 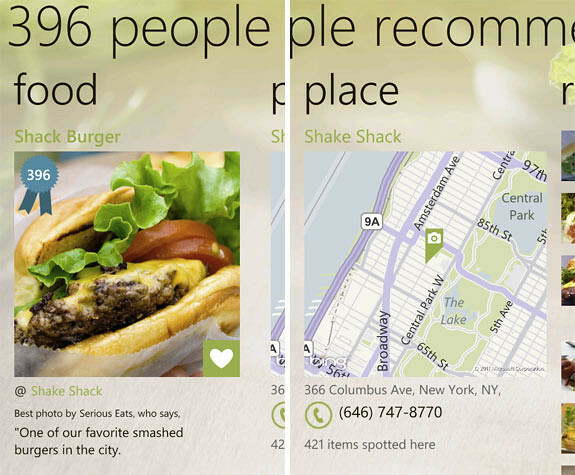 Just like the Foodpostting app on iOS and Android, the app on WP7 tells you what good food you can find around where you are at. It categorises the results to food and place. 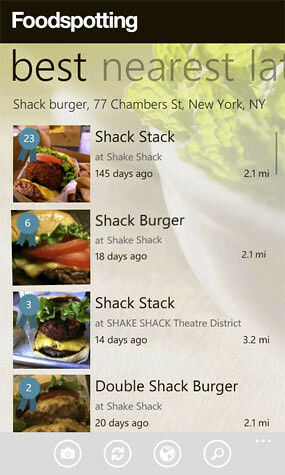 If you select a place then the app will list out all the food spotted at the particular location. The 3rd category is “reviews” whereby you can check out what other users say in the Foodspotting community. The best part of this whole food discovery thing is that you can also spot new food or restaurants you like and recommend it to your friends and other people who are using the app. You can get Foodspotting for free on the Marketplace. Check out Foodspotting.com for more info.